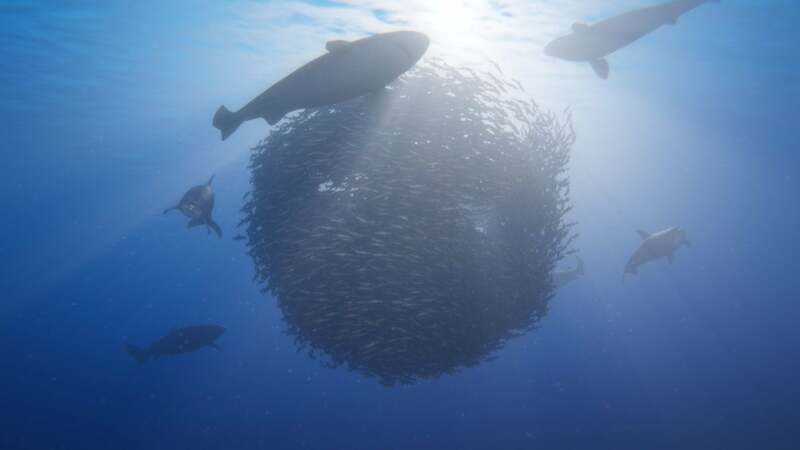 A companion piece to the BBC's nature documentary Blue Planet 2, Beyond Blue takes you deep under the ocean to try and answer the question "What is the role of a scientist?" in the modern world—and also admire the fish. For four years I’ve waited for a spiritual successor to Never Alone. Part game, part documentary, E-Line Media and Upper One Games managed to adapt traditional Inupiaq folklore into an accessible platformer while educating players about the culture in question. It was flawed, but beautiful and memorable. Memorable enough, I guess, that the BBC got in touch and asked E-Line to do it again. 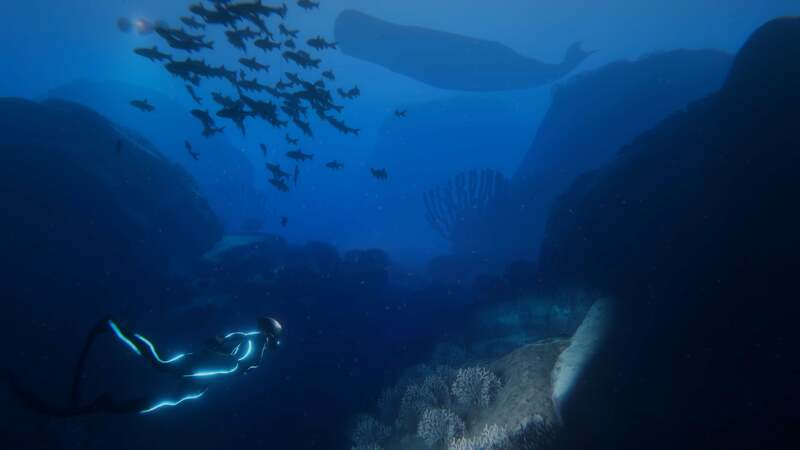 At Gamescom this week I got to take a look at Beyond Blue, a spiritual successor to Never Alone and a companion piece to the BBC documentary Blue Planet 2. The game’s a bit less so. Like Never Alone, Beyond Blue attempts to pair the educational aspects with a fictionalized story. Taking place 10 to 15 years in the future, scientific advances allow humanity to chart more of the ocean than we can today, and Maira’s part of that effort. E-Line’s keeping quiet about the particulars, but I was told that the story starts with an explosion of life. There’s a hotbed of new ecological activity in the South China Sea, and Maira’s sent to investigate. We only played a single level, early in the game, and that meant repairing an underwater surveillance system and then figuring out why a sperm whale’s location tag lay dormant on the ocean floor. It’s simple, or at least this early section was. I wouldn’t be surprised if that continued throughout the game, though—E-Line’s making an educational experience, not Tomb Raider. You can’t die, for instance, and I didn’t see any resource management or anything of that nature. Maira just swims around, taking in the scenery. And there’s a lot of scenery. Beyond Blue’s not as immediately breathtaking as Never Alone was, with its gorgeous aurora borealis and blizzards. 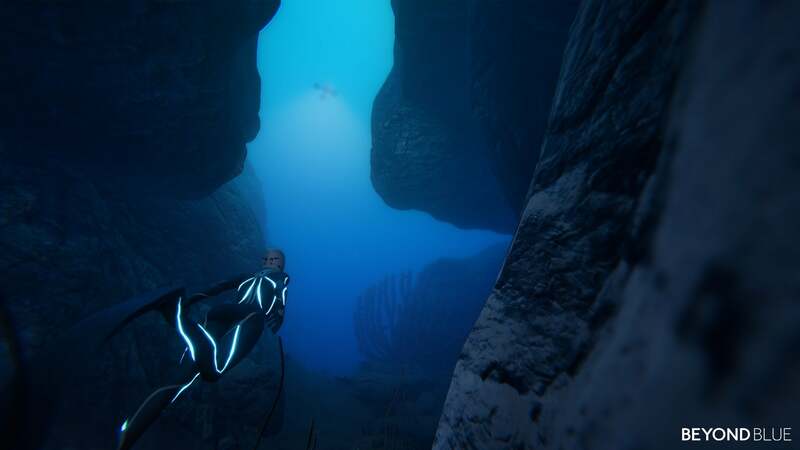 It’s the ocean, and the ocean’s been done before—in TheBlu for instance, and Abzu. We’ve also had breathtaking alien seas this year, courtesy of Subnautica. Still, it’s a lively place. Sharks swim lazily through narrow canyons, octopuses dart from their camouflaged hiding spaces, sea turtles chow down on otherworldly forests of jellyfish. There are no time constraints on levels, and you’re welcome to swim around and just examine creatures in their natural habitats. E-Line has a scientist embedded with the development team, and I gather a lot of attention’s being paid to how animals behave. Maira’s presence even affects those behavior patterns, which plays into some stuff E-Line talked about but didn’t show. Maira’s great for tasks that require a human presence, like fixing the surveillance buoy. Underwater drones move faster though, and can also tag fish, sharks, and other creatures. This is useful for tracking certain animals, sure, but it also then opens a third possibility: You can assume control of the animals directly. Sure, it’s a video game conceit, but it then allows you to observe natural behaviors, without a human or drone presence. It’s an interesting idea, though as I said none of this was present in our demo. We played as Maira the entire time, who also has a few tricks of her own. She can bathe fish in UV light for instance, illuminating distinctive stripes and other attributes that are otherwise invisible to the human eye. She can also scan and catalog animals, eventually giving them names and recognizing them if they appear again. There are a lot of interesting ideas here, very few of which sound like a traditional “game,” and yet I’m curious to see how it all meshes together, and if that sort of meandering exploration feels rewarded. Regardless, impatient players can also swim straight for the main objectives. In the case of our demo, that meant finding first the discarded sperm whale tracker, then heading towards an area of known sperm whale activity—just in time to see a whole pod swim past. And then the ominous ending, as a younger sperm whale swam by and Maira noted all the scars on its body. That’s what I’m most curious about, actually. With the oceans threatened by a number of different factors nowadays, I’m wondering which ones E-Line chooses to confront. Climate change, ocean acidity and temperature, overfishing, pollution—there’s a lot of material. For its part, E-Line would only say that these sorts of themes will be explored, though it wouldn’t tell me any specific topics. Because it takes place about a decade in the future, I was also told this hypothetical humanity might have made progress on certain challenges we face today, while new challenges cropped up. The story also sounds a bit more complex than Never Alone, with E-Line stating that Maira would make decisions on how to handle some of these challenges, potentially upsetting governmental, corporate, or environmentalist interests in the process. Again, none of that was on display today, so we’ll see how it pans out. I’m intrigued. Beyond Blue is set to release in early 2019, and while I’m not sure it has the immediate eye-catching appeal of Never Alone, I still think E-Line is doing some of the most interesting work in the educational space. You couldn’t really ask for a more prestigious partner than the BBC either, at least when it comes to nature documentaries. Never Alone’s style of interspersing documentary "breaks" into the game will return in Beyond Blue, too. E-Line tells me that some footage will come from Blue Planet 2, other footage from their own work, all with the goal of answering the question, "what's the role of a scientist?"